This is a green lynx spider. They get their name from their coloration, which helps to camouflage them among green leaves, and from the way that they sometimes pounce on their prey in a catlike fashion, rather than spinning a web to catch them. 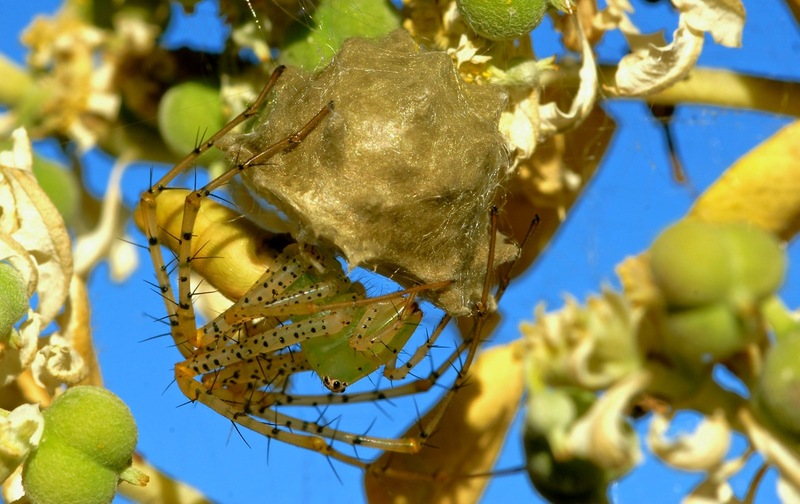 These spiders spend their time hunting for insects in bushes and low plants. They are fast runners and jumpers, but can occasionally be seen lying in wait for prey beside flowers. As a mother, this spider is in her favorite position, upside-down, while protecting her newly formed egg sac, which can contain from 25 to 600 eggs. Green Lynx Spider guarding her egg sack. If these spiders meet insects capable of doing harm, such as bees, wasps, assassin bugs, they attack the eyes while others will be attacked in no particular fashion. An enemy that can’t see … can’t fight back. How do they know to do that???? Cotton farmers in south Texas like to see these spiders in their fields as they are known to eat insects harmful to their cotton crop. Others are more concerned about the fact that these spiders enjoy a tasty honey bee snack whenever they can. While painful, their bite is not deadly to humans. 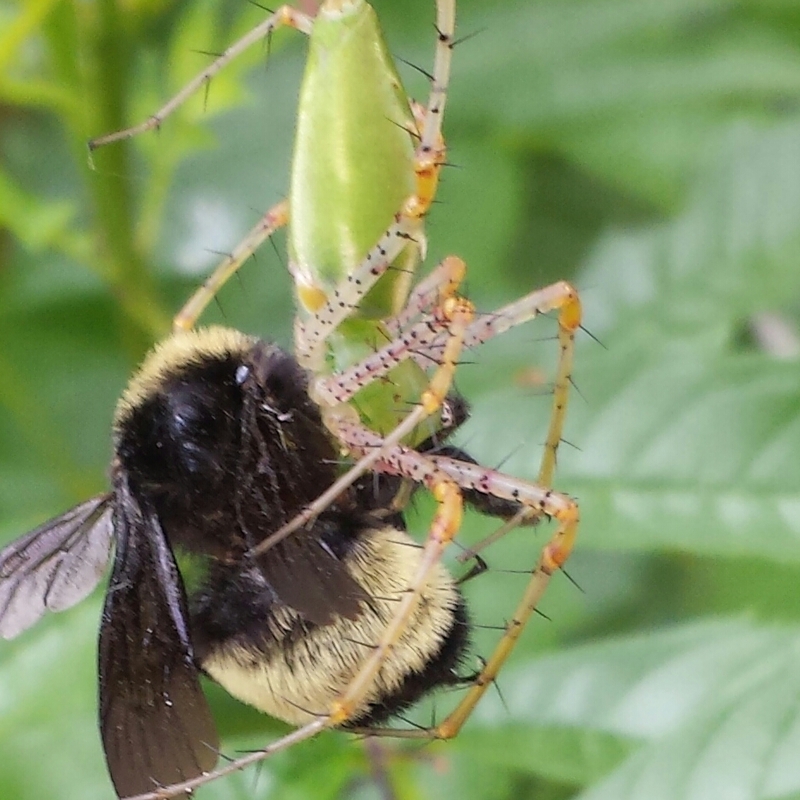 Lynx spider munching on a fuzzy bumble bee.